Hello friends! Hope you’ve had a wonderful weekend! Okay, let’s get down to business…. #526 – Danielle, who said: Love her patterns! #558 – Stacie, who said: I love houndstooth! 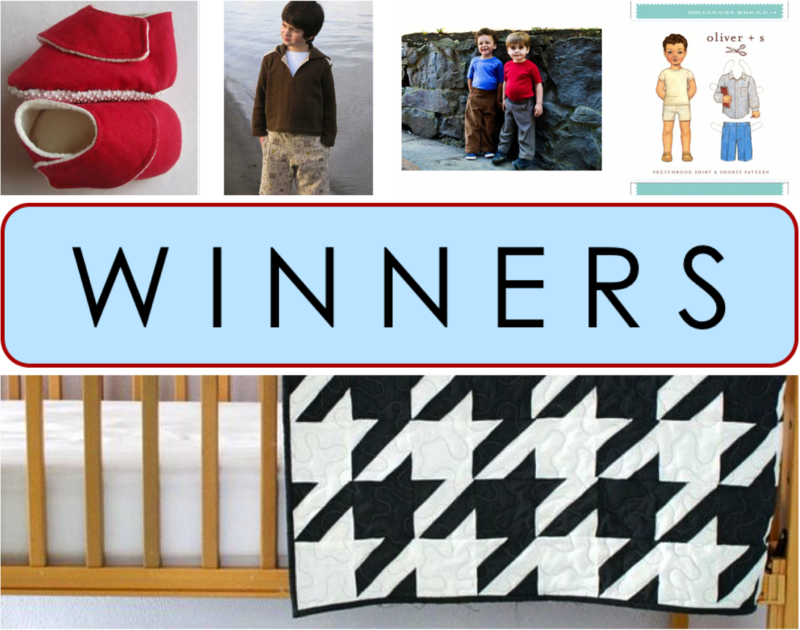 This pattern is perfect for a boy-quilt – I would love to make it for my son. Or really, let’s be honest…I’ll give it to my mom, The Quilter, and let her make it for my son! #593 – Anthony and Rene, who said: WOW that is amazing!!! #243 – Lisa, who said: I am always looking for new quilt patterns…this one looks so cool! Thanks for the giveaway! #658 – Sam, who said: Oh those look like so much fun! #487 – Kimmalee, who said: Oh those patterns are SO cute. I’d love them! #482 – Noni, who said: OH how fun. What great options! Thanks sooo much. #408 – lhunt212, who said: The little baby shoes are soooo adorable! Winners will be emailed with additional info.